← Heading to the beach? Man. I’d ask where spring went, but looking out my window, there’s no evidence that spring has even taken a peek at Ohio yet. The glaciers that grew to each side of my driveway this winter have shrunk to little mounds about the size of hamsters, but other than that? Gray, rainy, cold. No sweet little pink blossoms in this neighborhood yet. I spent the last week of March in Las Vegas, which is about as different from Northeastern Ohio (and not just because of the weather) as Bangkok. We mostly speak the same language. That’s about it. As expected, the sun was shinier than a new quarter and what appeared to be a nicely global sampling of folks stumbled around dressed inappropriately, drinks in hand. Las Vegas casinos are pretty much interchangeable with casinos all around the world, so the sun is irrelevant when you’re playing the slots. Ding-ding-ding! Wheel! Of! Fortune! Unfortunately, I’ve spent more time dismantling trips over the last month or two than planning them. No wonder I’m feeling disheartened today, right? My son’s wedding is cancelled, so I’m not going to Australia next month. I also cancelled my trip to Dayton for the Erma Bombeck Humor Writers Conference this weekend (have fun, you guys!). I won’t go into the details on either account, but I’ll just say this: it’s much more fun to SCHEDULE a trip than to CANCEL one. But like Annie, I do believe the sun will come out tomorrow and that I will be inspired to conjure up a new adventure soon. I’d love to meet my buddy Bernadette in Northern Ireland this summer. That’s one idea simmering on the back burner at the moment. My friend Cindy just got back from a visit to New York City with her daughter, Isabel. Being fans of “Project Runway,” I know they visited Mood. Can’t wait to hear about that trip. What are you doing in the months ahead? Inspire me! 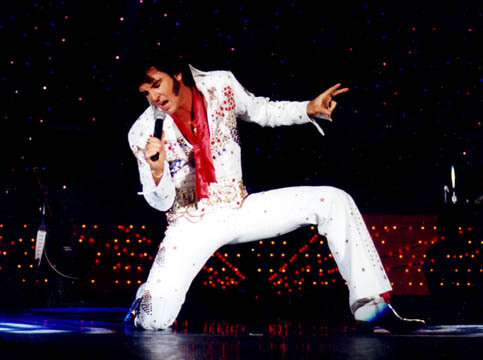 This entry was posted in Travel and tagged Australia, Elvis, Las Vegas, travel. Bookmark the permalink. 3 Responses to Is it April already? Well, heading back to Italy for about 6 weeks. Visiting Puglia which will be new for us and then Sardinia. Visiting with friends and doing some research for what may be our next book. Hope your enjoy the first one! Pen, the scenery sounds amazing, though I think I would pass on the spine-rattling jeep element! Think passenger-seat-donut and have fun!